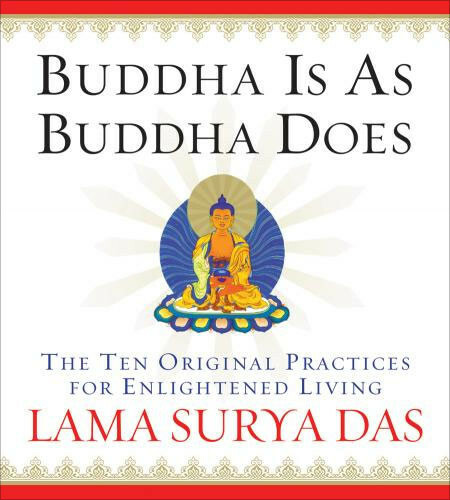 An original author adaptation of Lama Surya Das’ book on the core teachings of the Buddha. Of all the Buddha's teachings, perhaps his greatest gift can be found in the bodhisattva ideal, a template for living in the world as an "awakener," a peacemaking spiritual warrior serving the highest good. Inspirational lessons from Lama Surya Das's personal teachers, including The Dalai Lama—plus contemporary examples of enlightened action based on the realization of the oneness of life. "As long as there is suffering in the world, there is spiritual work to do," explains Lama Surya Das. "We are the bodhisattvas, the future Buddhas of this world." Join this lucid guide to experience the sacred wisdom of he Buddha's greatest lessons, with Buddha Is As Buddha Does. I was not impressed. What little I could tolerate seemed preachy and, if one wanted to feel good about being a buddhist because of the Paramitas then this might resonate.